Gadget » Articles » What is the “Share Near” in Windows 10? 1 What is Near to Share? 2 How does Near Share? 3 How far will be transferred to the transfer file sharing? 4 What you need to work Near Share? 6 When Near Share will be available for all users in Windows 10? 7 And what about the competition? Microsoft is an analogue system AirDrop file sharing for computers running on Windows 10. A function is called Near Share. Needless to say that the need to quickly send a file to a colleague or friend is very common, almost universally and regularly. And if we are talking about large distances, then we have to resort to using email, OneDrive or Skype. But I want to take this action to spend a minimum of time and effort. Soon, users of devices on Windows 10 will get very interesting built-in feature. The developers at Microsoft want to create their own exchange system files. We are talking about the function Near Share, a kind of analogue of the well-known options, AirDrop, AirDrop, although not very popular in MacOS and iOS, but I think this is a very interesting move from Microsoft. Today will tell more about what is already known about Near Share like now it to set up and use. All in good time. What is Near to Share? Microsoft introduced a new feature for Windows 10 that will simplify the exchange of files and will undoubtedly facilitate the user experience. Near Share is a new feature in the transmission and exchange of data between devices that are running Windows 10. The translation of the name of the function Near Share “Share next” speaks for itself. Like AirDrop from Apple, the analogue of which is this function, Near Share is a file transfer service that operates only between adjacent devices. It is intended for occasional transmission between devices where simplicity and convenience are of paramount importance. Instead send an electronic presentation from one device to another by uploading to the online storage or to a network Near Share allows a single user to archive the file and send it directly from your computer to the device of your colleague or friend. In the same way as AirDrop, Near Share will allow you to transfer documents or pictures to other devices via Bluetooth. Near Share — a new feature of Windows 10 available to those who have installed Windows 10 build 17035. It allows the user to send and receive documents, images, archives, videos and other files on other Windows 10 devices via Bluetooth or Wi-Fi. Near Share can be used to wirelessly share files and URLS with the closest PC. The operating principle is quite simple. To use this feature, you must ensure that Near Share is enabled on both devices. The feature will be available in notification center in Windows 10, and it can be accessed via the “send” option. When sending files the recipient will receive a notice of intention of the other device. When you turn Near the Share, it will add the neighboring devices in the panel “Share”, so you can transfer your files to a remote device two mouse clicks. It is worth remembering that for file transfer small amounts of just the Bluetooth connection. To transfer large files from point to point will have to use a Wi-Fi router rather fancy Wi-Fi Direct function. How far will be transferred to the transfer file sharing? I am sure that most of you immediately the question arose, if you remember that a Bluetooth connection has some limitations on file transfer. You will be able to transfer file between devices at a maximum distance of 100 m, and then only with great reserve. Most standards Bluetooth just will not be able to transfer at such a distance files. I think that the most correct and convenient for the transmission to be the distance of 10 m between two devices. A lot or a little? For each of us individually. If you use Near Share at home or to share files in your office, this distance is enough. The more that can be used for data transfer and Wi-Fi router. The function has all chances to become popular. What you need to work Near Share? Order now to try out the new feature Near Share, you must be a member of the Windows 10 Insider Preview to the latest update of Windows 10 build 17035 on both devices, which Microsoft introduced on 8 November 2017. This feature also must be enabled on both devices. You also need to enable Bluetooth or Wi-Fi connection on their devices. And now you want to include the function itself Near Share. It is very simple. Navigate to Shared opportunities, where you will see the option Near Share. Now you just need to enable this feature. When turn on the option Near Share, you will see the device name on which you want to send files via wireless network. 5. A notification will appear in your friends in the action Center, demanding confirmation. 6. After confirming your file after a few seconds will be sent from your device to another. As you can see, nothing complicated. Since this feature is integrated with the component Share of Windows 10, in third-party applications such as Edge and Photos by clicking on the “Share” icon starts the process of transferring the current web page or photo. In file Explorer, which would be a logical place for many transfers, after selecting the right mouse button the menu appears the option “sharing”. As Near Share available in the preview of Windows 10, only apps created by Microsoft, offer a special program. However, third party applications can be upgraded using an existing API (application programming interface). Perhaps some of them may be available when next year will be launched the next major update to Windows 10. One of the advantages of Near Share over AirDrop from Apple is that the Wi-Fi Direct creates a direct link from one computer to another, bypassing any Wi-Fi router, if there is one. It is much easier to transfer files between devices. Such transfer will be faster and safer, considering the fact that of the vulnerability of Wi-Fi connection not just lazy writing. The data will be transferred between the two devices, and not in a circular path from one device to the Wi-Fi router and then to the Internet back to the router, finally reaching the second device. When Near Share will be available for all users in Windows 10? Most likely this feature will be available for all the users devices to Windows 10 in the spring of 2018. According to rumors, that in March-April 2018 will be released the next major update of Windows 10. It is more known under the code name Redstone 4. READ If we can return the dead to life? If all goes well and the function is Near Share like insiders and will be finalized by the developers, it is likely that all without exception will get access to it. Even though we know cases when Microsoft anyone and without explaining anything, was suddenly removed some chip and kind of forgot about it. The most recent in my memory — the abolition of the Timeline feature, which has disappeared, it seems, forever. A pity that sometimes good initiatives remain only an attempt. The closest analogue Near Share — AirDrop for computers and smartphones Apple, which I often thought. AirDrop first appeared in 2011 in Mac OS X 10.7 Lion. As for iPhone feature became available in 2013 in iOS 7. However, as far as I know from reading the posts and responses, AirDrop is not very popular among users of laptops, tablets and smartphones to Mac OS and iOS. Perhaps fans of these devices refute my words. Still weird that the 6 years it took Microsoft to realize that this feature will be convenient for Windows users. By the way, the possibility of similar implements and Google. It will appear in the new file Manager Files Go. I tried to test Files Go and I can say that this feature is still in beta stage. Of course, now almost fantastic looks is my wish that Microsoft, Apple and Google have joined forces. It would be very good to transfer files via Bluetooth from laptop to Windows 10 for iPhone or smartphone on Android, and also to perform the reverse action. But this is just my secret dreams. Still very good that Microsoft decided to develop a feature Near Share. Even if it is only testing and not everything works, but attempts to change the vision, trying to keep up with the times give us hope that Windows 10 will be the system for the convenience of users, the developers will listen to useful advice. 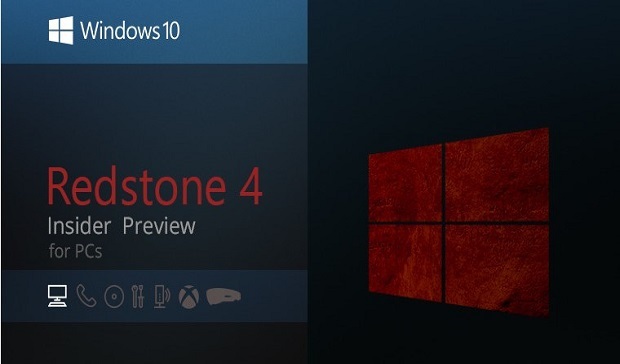 This will only benefit the Windows operating system 10 from Microsoft. You are reading an article on the What is the “Share Near” in Windows 10?. All materials on the site Gadgets F, а также и статья What is the “Share Near” in Windows 10? - written for the purpose of information enrichment and we are happy if you like our magazine. Reviews to article What is the “Share Near” in Windows 10?